A good friend of mine takes his son on a yearly trip to different baseball parks, and they always seem to get at least one baseball. 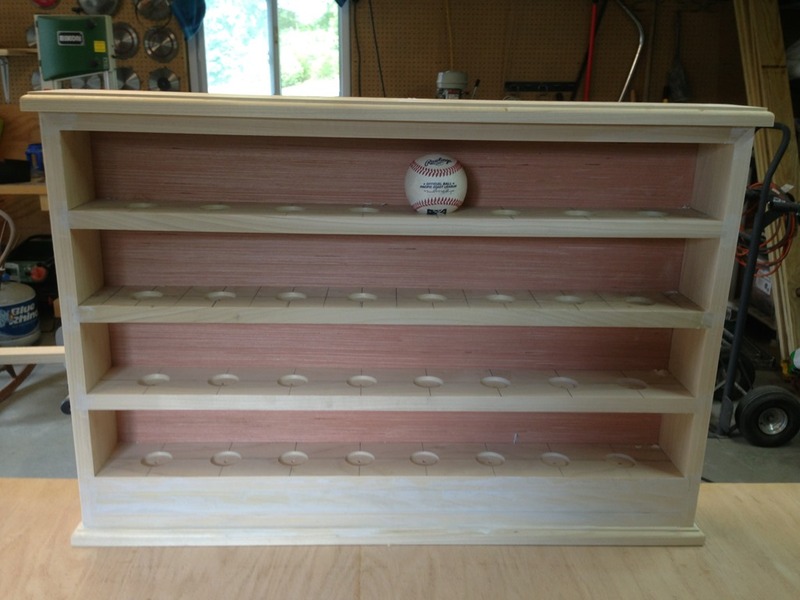 He decided to build a rack to hold the baseballs and asked if he could use the shop to do it. Of course! But we had a couple of things to work through before we started. 1. 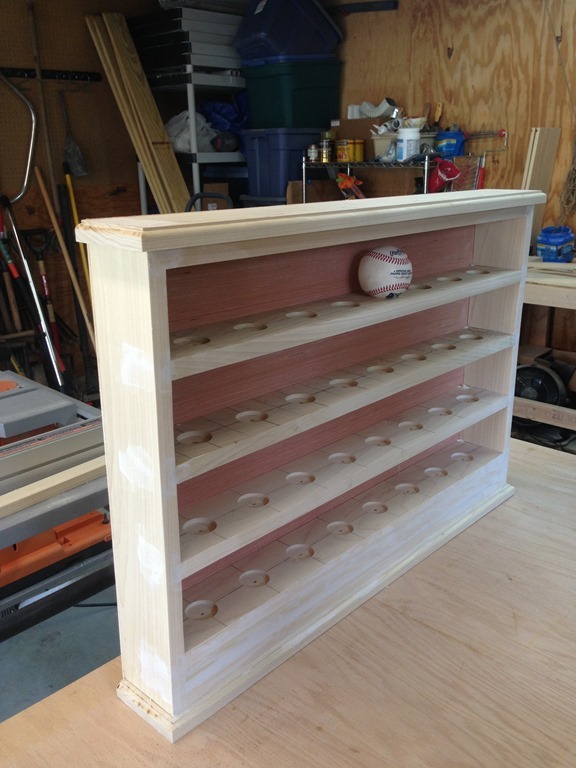 We didn’t have any plans – so we designed our own using a picture found on the internet as a sample and then used the measurements of a baseball to calculate enough room for 32 baseballs. 2. My friend had never done anything like this before. Hot Dog, that’s the fun part. So with his new Father’s Day Router in hand and the tools I had, off we went. Then we spent Saturday wrapping it up. Oh yeah, the chop saw gave us issues and we had to fix it in the middle of the project! He is going to paint it black, at which time I will update this post. Thank you God for the gifts and the opportunity!